Copenhagen - Parken Stadium 11.08.2016: The Parken Stadium, or Telia Parken, as it is currently called, is the largest and most modern stadium in Denmark, boasting even of a retractable roof. In July 2014 the name of the stadium was changed, following a sponsorship agreement with Telia Sonera, a telephone company. Telia Parken is, quite obviously, located in the Danish capital city and is the home ground of FC Copenhagen, one of the most successful Danish football clubs. Parken Stadium was built in 1992, on the site of the former national stadium – Idrætsparken, built in 1911. 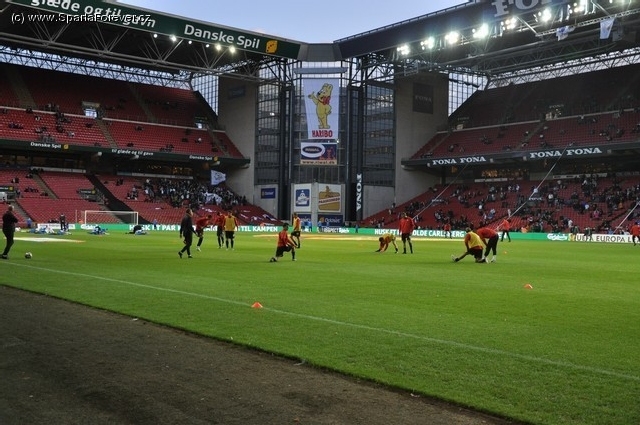 The old stadium had held a record number of spectators in 1961, when more than 52,000 people had come to watch the game between the national teams of Denmark and Sweden. However, back then majorParken Stadium was built in 1992, on the site of the former national stadium – Idrætsparken, built in 1911. 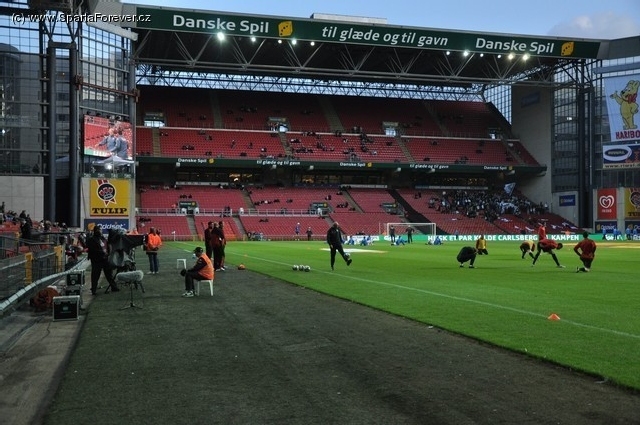 The old stadium had held a record number of spectators in 1961, when more than 52,000 people had come to watch the game between the national teams of Denmark and Sweden. However, back then majority of the spectators stood on terraces.ity of the spectators stood on terraces. The new Parken Stadium was opened in September 1992 with a friendly match, in which the Danish national team lost to Germany 1-2. It was not until 2009 that the old “D-Stand” behind one of the goals, which had been built in 1956, was replaced by a new, modern, VIP stand, featuring 4,000 retractable seats. This feature was added to facilitate the organization of concerts. Parken Stadium has provided venue to a lot of concerts. Another special feature is the retractable roof, installed in 2009, which is a “must” nowadays in all modern football stadiums. Regarding some exciting games played at the stadium, we cannot fail to mention the 1994 Cup Winners’ Cup final between Arsenal and Parma and the 2000 UEFA Cup final, in which Arsenal played Galatasaray SK.